At Think Cooling, we offer the best AC solutions the Gold Coast has to offer. We have the best products and services for all your Upper Coomera air conditioning needs. There are some areas in the Gold Coast that have exploded in regard to popularity and population numbers in the last decade. The rapid increase in the number of Pimpama and Willow Vale residents are among the highest around. This growth in numbers means a high demand for housing and commercial properties. Add in the inland climate and that’s also a high need for the best air conditioning Upper Coomera residents can get (especially during summer). No matter if you need a new air conditioner installed for your residential or commercial property, we’re here to help. Use our calculator tool to get an idea of what our affordable services would cost you. If you’re looking for a ducted system, get in touch with our team to arrange a free in-home appraisal and quote. Why Choose Think Cooling for Air Conditioning Installation? One of the biggest issues with home appliance repair and maintenance is that problems never occur at the most convenient time. Also, there never seems to be enough time to consider a new system or an upgrade. That is why we aim to be as flexible and convenient as possible to help local residents. The stress-free, professional service from our knowledgeable, certified team is ready when you are. This is true for basic repairs as well as more involved installations. If you’re looking for help with AC installation, maintenance or repair, contact our team today! Upper Coomera has seen a large population rise of 51.3%. This would normally be staggering for local Gold Coast suburbs but Pimpama has beaten that with 192.6%, the highest in the area. Meanwhile, Willow Vale saw a 106.5% rise in the same time period. The population here is still tiny compared to other areas in the Gold Coast, but this growth across the area showcases its popularity with new home buyers and developers. There is clearly something about these inland areas that have drawn in families and commuters like nowhere else. The infrastructure is a good starting point, but the properties and amenities help too. If you’ve recently invested in or built a new home in these fast growth areas, we can help you when it comes to installing air conditioning. These suburbs get quite hot, especially in summer, and local residents often rely on air conditioning for creating the perfect living environment year round. With such rapid growth and demand in these areas, apartment blocks and other high-capacity solutions are in order. These projects can benefit from split system AC products. These products offer an effective way to bring small spaces under control. They are especially popular with developers of open-plan areas because of their energy-efficient climate control. Think Cooling specialists can help you find the right product for your property with a service you can count on. Then there are the family homes that have already been established in these growing areas. There is a need to keep up with the neighbours as property values and interest rises. An upgrade to a ducted system could be a great starting point. A ducted AC unit provides a simple way to control the temperature of multiple rooms under one system. It is more important than ever to find efficient options in these inland areas as temperatures continue to rise. You can turn to our experts for advice on the very best options. 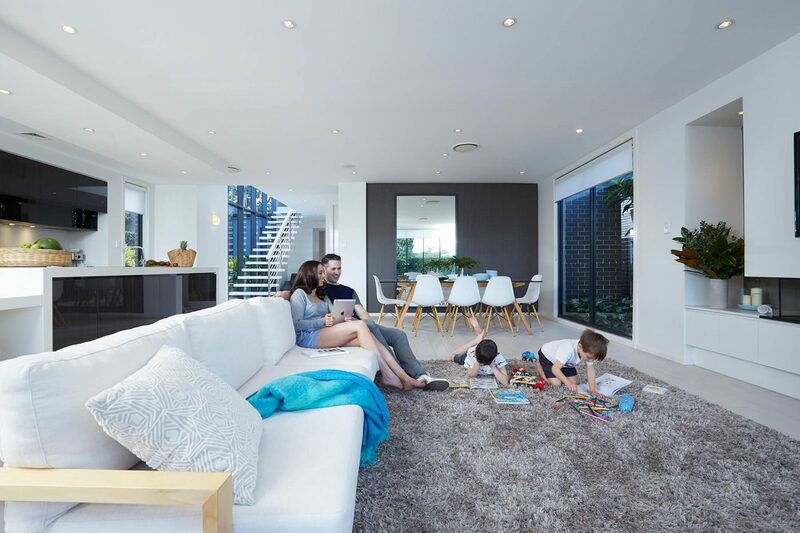 Regions on the rise, such as Upper Coomera & Pimpama, have a high demand for new builds with cost-effective, energy efficient Gold Coast air conditioning systems in place. Eco-friendly, adaptable systems like the MyAir AC system are appealing to new buyers. The smart hub, app controls and customisable room settings work with many versatile lifestyles and budgets. These ducted systems are also built to handle the local climate and easy to install via our Think Cooling specialists. Get in touch to see how MyAir can make your life a breeze! “Very helpful. We had Think Cooling install AC’s in our house as well as in our rental property. They do fantastic work and are very reasonable on pricing. Nathan is very knowledgeable and takes the time to explain anything you want. For all your AC needs, reach out to Think Cooling today! Whatever type of AC unit you need for your new property in Coomera, Upper Coomera, Pimpama or Willow Vale, you can count on us. Call us today to help us get you on the road to a cooler, more comfortable living space for your family. Alternatively, head to our contact page for more ways to get quotes about air conditioning Upper Coomera and ask us any questions.